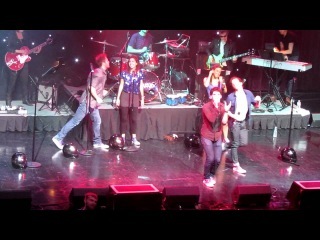 The Starkids perform "Boy Toy" at the House of Blues in Boston as part of the S.P.A.C.E. Tour on November 25, 2011. 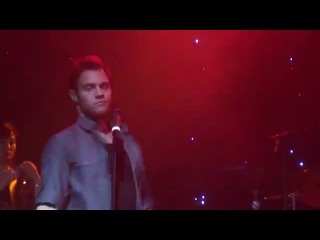 Joe Walker performs "Stutter" at the House of Blues in Boston as part of the S.P.A.C.E. Tour on November 25, 2011. Boston 2pm 11/25/11 show. 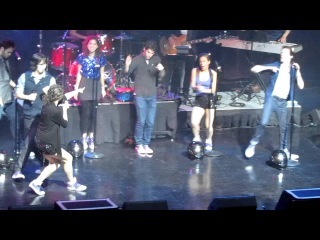 Joey Richter and Darren Criss with StarKid perform Harry Freakin' Potter. Notice at the beginning Joey accidentally hits Darren in the face and then cuddles and hugs him to apologize. Fine way to treat your roommate, Joey! Fun performance! Boston 2pm 11/25/11 The Way I Do Dylan Saunders Meredith Stepien Joey Richter and Jaime Lyn Beatty from the musical "Starship"